You can download the complete newsletter, w/ this portion authored by Matt Mason, by clicking here. 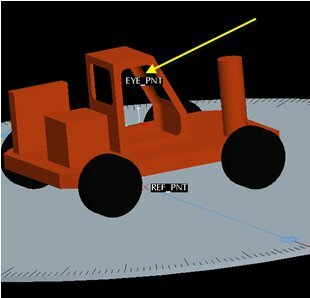 Start by creating a “Visibility Study” assembly in Pro/E. 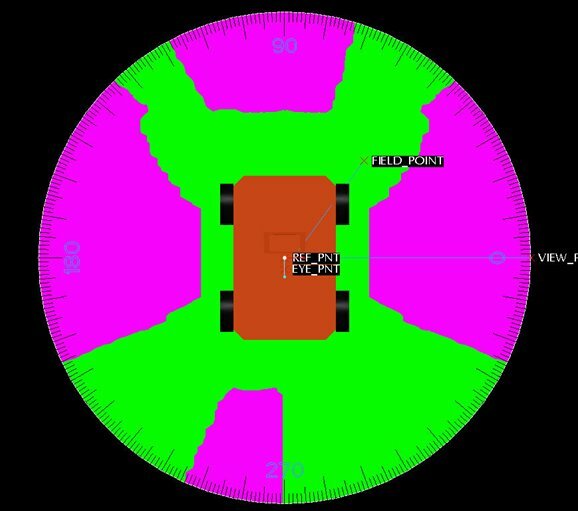 This assembly has a generic “Ground” component with graduated markings used to measure visibility angles. There is also a collection of datum curves that can be modified to match the final analysis results and subsequently passed to a 2D drawing. Add the desired product assembly (a solid shrinkwrap or envelope component can be used in place of a top-level assembly) to the Visibility_Study assembly. 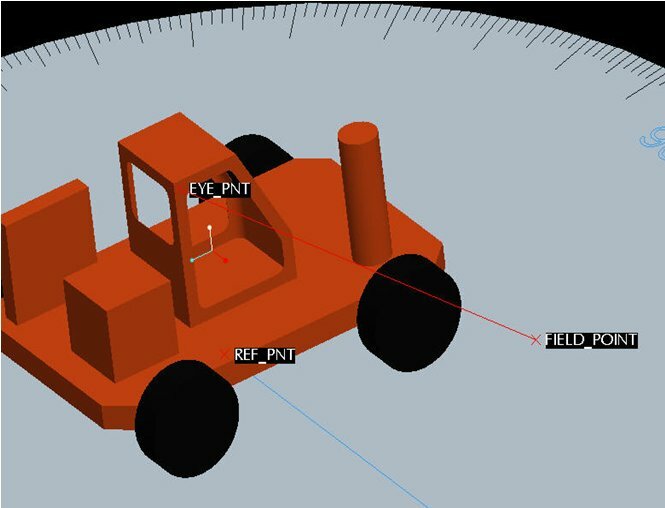 Add a Field Point to the Visibility_Study assembly. Place the Field Point on the top surface of the Ground.prt. 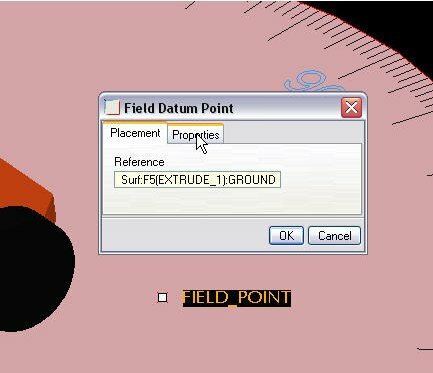 Location of the field point on the surface is not critical. Rename the newly created point “FIELD_POINT” to help differentiate from any existing points in the assembly. 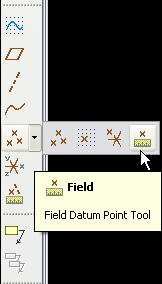 Create a new Datum Curve to connect the Eye Point to the Field Point. Keep the defaults that appear in the menu manager and click Done. 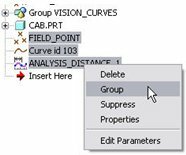 Create an Analysis Feature to measure the distance between the newly created datum curve and the product assembly. Analysis > Measure > Distance from the Pro/E toolbar. Change the Analysis type to “Feature” and click the Green Checkbox to complete the feature. 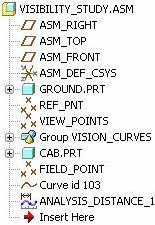 Select the three features mentioned above and group them together to create a new UDA group feature in the model tree. 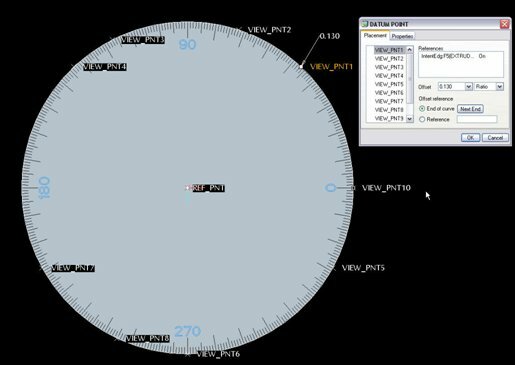 Create a new User-Defined Analysis to see the line of sight analysis for the assembly. 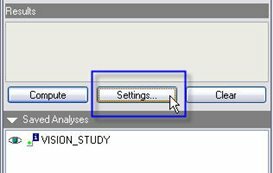 In the User-Defined Analysis window, leave the settings proved as their default values. 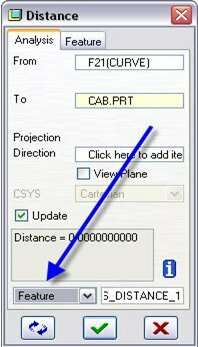 Expand the “Computation Settings” and “Saved Analyses” drop-down menus. Click the “Settings…” button in the results section to change the analysis settings. 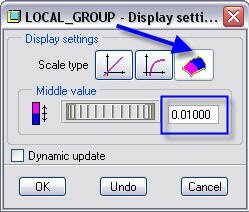 Change the Display Setting to “Two color shading” as well as changing the “Middle value” to .01. Click OK when finished. Click the “Compute” button to run the analysis. The accuracy of the analysis can be adjusted in several ways. 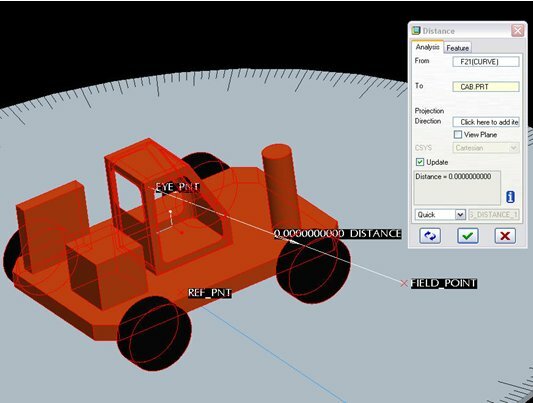 When the analysis is complete, choose “Add Feature” to place the analysis feature in the model tree. With the analysis results still displayed on the screen, note where the green/purple boundary lines match the scale tick marks. Move the point locations to match the markings noted in step 17. 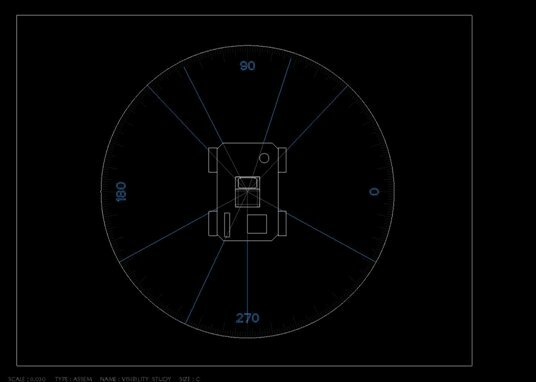 Create a new drawing and place the Visibility Assembly study. 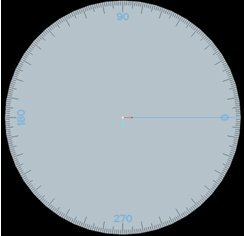 Use the TOP view to display the newly created line of sight indicators. Hide any excess curves as needed.